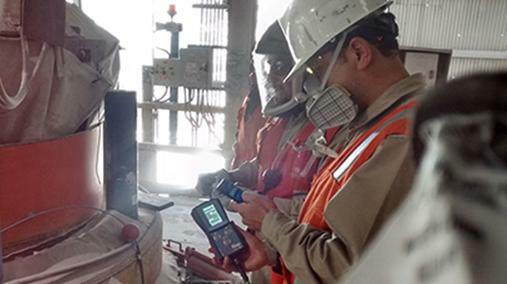 Through Mintap’s South American distributor San Cristobal, the C-Gap was successfully trialed at Codelco’s Chuquicamata Copper Project. Lead weights were being used to measure the CSS in their ten secondary and five tertiary crushers. Measurements were taken three times per day across all crushers, equating to the use of 90 lead weights per day at approximately 2 USD per weight. A cost benefit analysis of the cost of the C-Gap Vs lead weights clearly demonstrated that the C-Gap was the cheapest to operate with the added bonus of ease of use and the marked reduction of lead that needed to be disposed of. Noting its success on the secondary and tertiary circuit, a 30m hose and a 200mm-220mm sensor will be introduced on the primary crushing circuit shortly in order to improve the management of the CSS upfront.